Rangers striking target Oliver McBurnie has dropped a huge hint about his own future, one Rangers fans will be delighted to see. 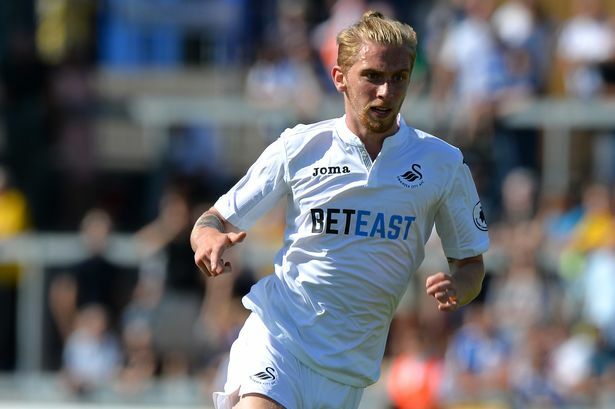 The 21-year old Swansea star has been a revelation for Barnsley recently, with the winger/striker notching up plenty of appearances and goals for the Championship side, on loan from the Welshmen. Strong positive words there to say the least from the forward, and his own chances of going to Rangers remain strong as well. The question remains how much he’ll cost and whether Steven Gerrard reckons he’s worth the fee. But there seems little doubt the boyhood Rangers fan wants to join McGregor if that incredibly gushing tweet is anything to go by. And it probably is. Is there any news on the 6ft 5 Swedish defender from Bayern Munich,Thomas Isherwoood who was over for a weeks trial with us ?? I like the idea of three up front, with Morelos as a wee battering ram through the middle, with Cummings n mcburnie at either side. Need a solid midfield though. I Hope we Sign McBurnie!